Lung cancer, esophageal cancer and mesothelioma are complex and challenging diseases to treat. Obtaining a precise diagnosis and developing an individualized treatment plan are critical to success. At UCSF, patients are treated by an experienced multidisciplinary team of specialists who have a broad menu of treatment options. Our team is also strongly committed to the emotional well being of patients. Treatment goals are clearly communicated. Patients and their families are encouraged to ask questions and to be proactive participants in their case. 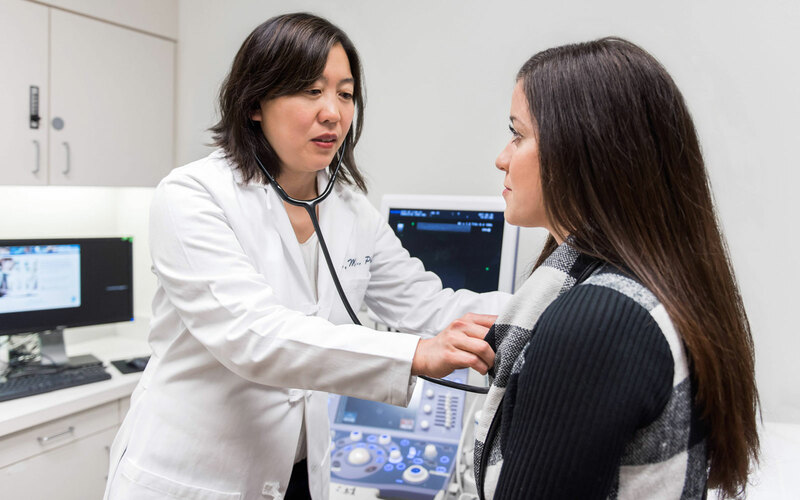 The UCSF Thoracic Oncology Program is well-known for its willingness to treat high-risk patients including those routinely turned down for surgery at other institutions. Patients given only limited options by their treating physicians often seek second opinions from our specialists. UCSF has been cited for its "willingness to be aggressive" in treating advanced lung cancer, in going the extra mile for patients, in viewing the glass as half full instead of half empty when it comes to treatment options. Targeted therapies selectively attack only cancer cells instead of all cells in the body like chemotherapy. Tarceva and Avastin, two such drugs, have already been approved for several types of lung cancer. Researchers are now using the molecular characteristics of a patient's tumor to guide the decision of which agent or combination of agents to use. Physicians in the Thoracic Oncology Program also wear the hats of scientists. Each is strongly committed to trying out new therapies in clinical trials. Because they are involved in clinical research, our physician-scientists can offer patients a broad menu of clinical trials. Their goal is to have a trial for every type and stage of lung cancer as well as other thoracic cancers.